Drones have been the topic of conversation for the past several years sparking privacy concerns amongst residential communities. In the state of Florida, Governor Rick Scott signed a bill that limits law enforcement’s use of drone aircraft; however, that bill does not pertain to or restrict the commercial and private use of drones. The “Freedom from Unwarranted Surveillance Act,” which came into effect on July 1, 2013, allows law enforcement agencies to launch camera carrying surveillance drones under two circumstances: if a warrant from a judge is obtained or if a person’s life or property is believed to be in imminent danger. In 2013, the use of drones was reported by both the Miami-Dade and Orange County Sheriffs departments, each owning two drones used solely for training purposes. However, not all states are restricting domestic drone use. The state of North Carolina for example does not have a bill protecting its citizens from law enforcement agencies using drones. In fact, North Carolina’s legislature recently passed a bill giving authorities permission to use drones to photograph open-invitation gatherings without the need to obtain a warrant — even if the gathering is held on private property. That is not to say there are not regulations in place protecting citizens from peeping toms photographing someone and/or their property. The use of drones for business purposes is also prohibited. For example, photographers cannot sell photos or videos taken with a drone, as drones should strictly be used for recreational purposes. Even with all of the FAA’s rulings, the commercial and private drone industry is expected to become a multimillion dollar industry, creating numerous jobs within the next ten years. The controversial topic revolving around the right or wrong use of unmanned aircraft has many asking: Where can the line be drawn? 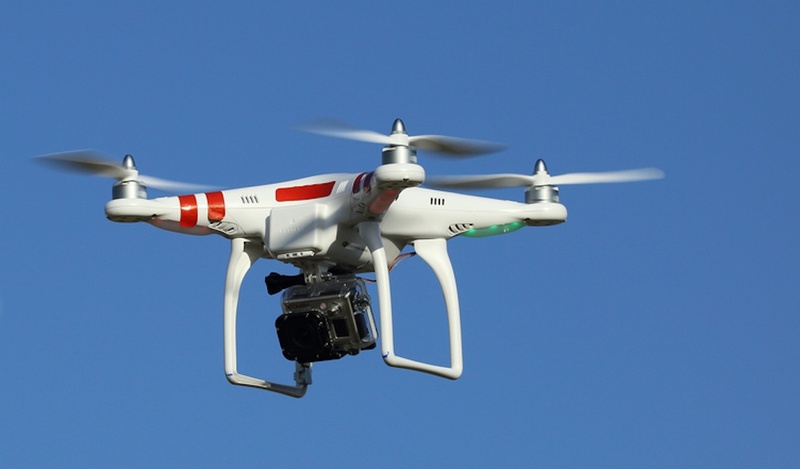 Drones are easily accessible and are found for sale all over the web. With laws being passed focusing only on law enforcement’s use of drones, such as Florida’s Senate Bill 92, what can be said about your neighbors flying their drones over your house or condominium unit? Is it deemed acceptable because it is a hobby? Or does your neighbor need to limit drone flying to their property only? The questions are endless, but communities can set rules in an effort to protect their residents’ privacy. At your next association meeting, you could request to limit the flying of drones to certain areas to prevent anyone in your community who may own a drone from flying it near your home, on the common areas or from the condominium property. With the popularity of the technology and lack of restrictions, board members should even consider a ban altogether to avoid any unnecessary hassles. With prices as low as $50 and retailers expecting record breaking sales this holiday season, it is best to put the proper restrictions in place for your community before privacy is jeopardized. Over the course of time, we will hear of new rules and regulations regarding the use of drones, especially as technology assists in their evolution to become smaller, cheaper and much more efficient than existing methods. Companies like Amazon are already seeking approval from the FAA in an effort to pioneer drone delivery services. Although the use of drones could potentially revolutionize the way many existing companies operate, the bigger focus lies in the misuse of drones, should they begin to trample on privacy laws.